Written by Will on October 19, 2012 and posted in News & Updates. I posted this on the Facebook Page and it went down quite well. 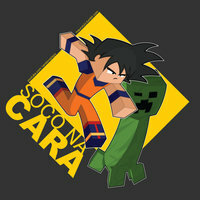 Here is Goku from Dragon Ball Z punching a Creeper in the face LOL!